Photo by Jason Findley Galaxy Theatres has opened. The smell of warm popcorn has not yet overwhelmed the smell of brand new red leather recliners at the East side's new Galaxy Theatre. Nine screens, electric recliners and high-tech laser projection welcomed movie-goers at the grand opening of Tucson's newest movie theater on Thursday night. Galaxy Theatre, now open at 100 S. Houghton Road in place of an old Bashas Supermarket, is offering a luxury cinema experience for Tucsonans who live on the city's eastern edge. "We love the vitality of the Tucson area, we like the growth," said CEO of Galaxy Theatres Frank Rimkus. "What we saw was here in Tucson, there was one particular area that was very underserved with a state-of-the-art movie theater and that was the Eastside." 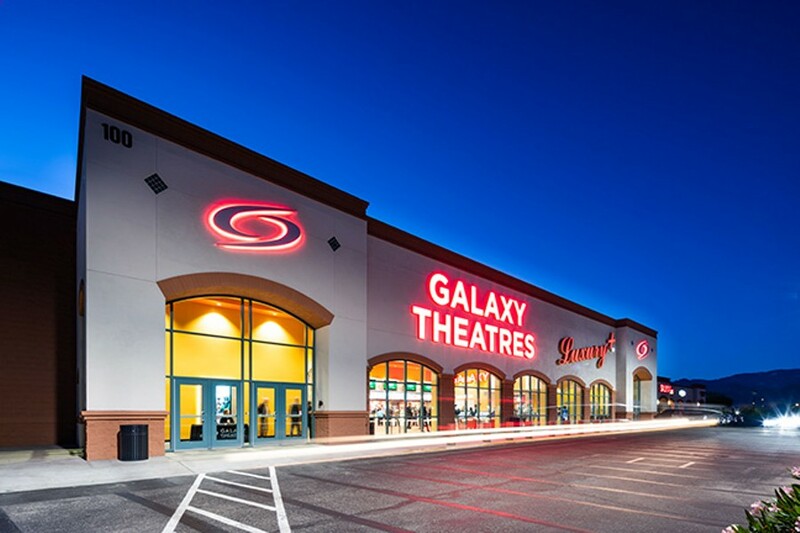 Galaxy Theatres were invited to the area by Bradford M. Freeman of Brentwood Developments, a California real estate company. The project, including demolishing the existing Bashas and building the new theater, took two years to complete. Galaxy Theatres is a West Coast firm with 150 screens in five states. The Tucson location is their first in Arizona, and is the only theater in Arizona with all-laser digital projection. These high-tech projectors produce brighter and sharper images and reduce pixelation in fast-paced films. The holiday movie season is getting underway, making Thursday night the perfect day to open, Rimkus said. Galaxy will show all of the major Hollywood movies, including 3D films. The Tucson Metro Chamber congratulated Galaxy with a proclamation and wished them good fortune at the ribbon cutting ceremony Thursday night, with erupting applause from the crowd and new staff. Rimkus estimates that the theater will create between 65 and 85 new jobs in the area. "Galaxy is known for its culture," said Rimkus, explaining that employees aim to provide hospitality rather than customer service. In a time where streaming movies is so easy to do at home, movie theaters are now challenged to go above and beyond to draw customers. "It's all about the experience, sitting in a comfortable seat, someone walking up to you with a smile," Rimkus said. "It's clean bathrooms, it's someone saying, 'Thanks for coming.' It's all those little things that are just involved in being human." Making sure the movie theater is welcoming, clean and social is key to the success of the new Galaxy Theatre, Rimkus explained, exemplified in the gleaming white tiles of the bathrooms and squeaky clean new theaters. "We can all cook, but why do we still go to restaurants?" Rimkus asked. "Going to the movies is a social experience and as the pace of life continues to increase, movies have always been a place we escape to." Rimkus said movie ticket sales don't fluctuate with the economy, as people always need a way to escape. Ticket sales fluctuate on how good the movies are and Galaxy's movie department expect 2019 will be major and 2020 will be even better. "We are so lucky that we are in a business where the only thing we have to focus on is making people happy," Rimkus said. Galaxy Theatres also aim to be good corporate citizens, and engage in community outreach specifically focusing on education. This focus was something that attracted General Manager Carl Haskins, a veteran and former University of Arizona professor. "If there is an opportunity to get involved with education, we are going to take it," Haskins said. At other locations Galaxy Theatres have held live Q&A sessions between middle school students and astronauts on the International Space Station. Students asked questions and the astronauts answered on screen while doing backflips without gravity. "We try to bring another dimension to make education exciting," Rimkus said, adding that the new theater is probably one of the most technically advanced buildings in Tucson, with capability of such things as Skyping space. Another thing that Galaxy is known for? Its popcorn. The theater offers everyone's favorite movie concessions along with beer, wine and margaritas. Tickets can be purchased online, at kiosks or at the front desk. Movie goers at the grand opening were treated to free soda and popcorn before showings of The Nutcracker and Bohemian Rhapsody.